Upload your own messages at no cost. Store an unlimited number of messages in your Library. Choose the number of songs to play between each message. Get professional message production from our in-house LA sound studio. Move messages from your Library into combinations. Control timing for how often the messages will play. Assign the combinations to play at your locations. Some may be unique to one location while others may play at multiple sites. Changes are live and can be made at any time. How does Messaging from Cloud Cover Music work? The valuable Messaging service from Cloud Cover Music allows you to insert your own promotional messages or announcements between songs. To play your messages, you first create a Message Preset which lets you choose the order in which your messages will be heard, as well as how many songs will play between each message. What are the benefits of using Messaging? Messaging is a powerful, cost-effective way to communicate important announcements, in-store specials or other key intel to your customers. It’s a great way to boost sales and keep customers in the know. Can Cloud Cover Music help me produce my own custom in-store messages? Glad you asked! The answer is yes, we’d be happy to help you create and produce your messages via a professional production from our state-of-the-art in-house sound studio located in Los Angeles, California. How many messages can I have active at the same time? There is no limit to the number of messages you can have active at a time. You can also store an unlimited number of messages in your library. How do I change my messages, and how often can I change them? You can change your messages as often as you like by simply editing your Message Presets. Can I group messages together, and if so, how many can I have in a group? The active messages will play in order in between your songs. 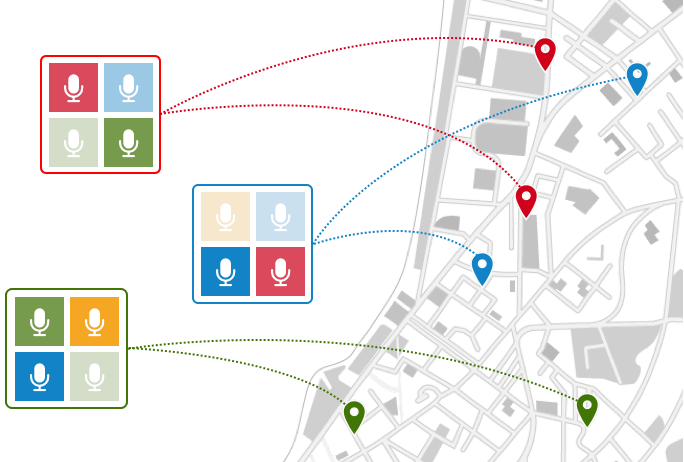 Each location where you have Cloud Cover Music can have different active messages, giving you an extra measure of control over your announcements and where they are played. There is no limit to the number of messages you can group together. Can I upload and schedule my own messages that I create? Sure you can! Simply go to Your Library in your Cloud Cover Music account, and you will be able to use our easy message upload feature.